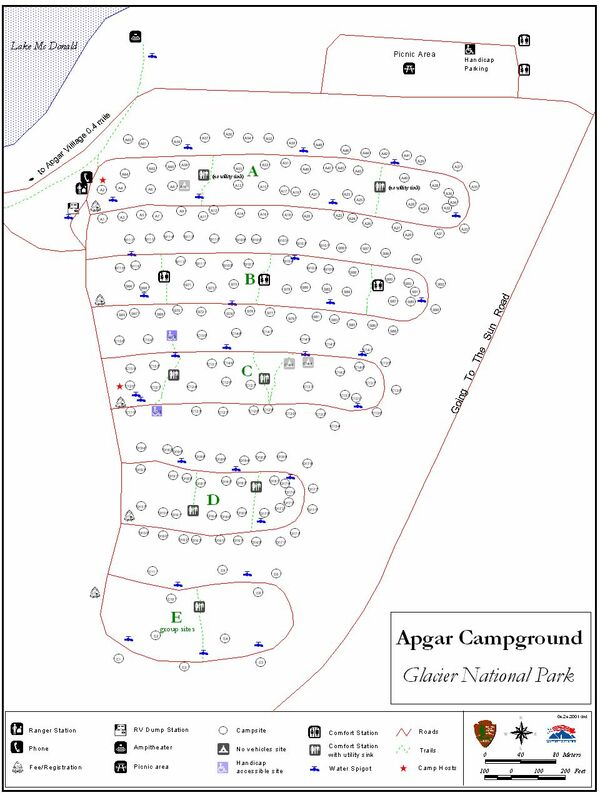 Apgar campground is the largest campground in Glacier National Park. It is near Apgar Village, where you will find the Apgar visitor center, gift shops, a camp store, and a casual restaurant. Horseback ride reservations, boat rentals, a shuttle service, and Red Bus tour reservations are also located in Apgar Village. The campground itself is situated in trees and provides tent and RV campers with shade and some privacy. Potable water is accessible in the campground, and restroom facilities provide flush toilets and sinks with running water. Evening sunsets on Lake McDonald are only a short stroll from the campground, and you won't want to miss evening programs at the Apgar Amphitheater with a ranger. Please see our ranger guided activity schedule for more information. For those interested in dayhiking, many trails are located within a short drive of the campground. Use Glacier's free shuttle service at this campground to access other shuttle stops on the Going-to-the- Sun Road.